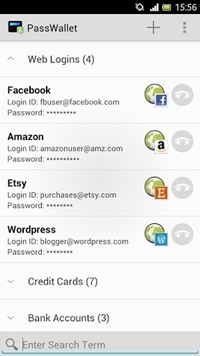 Are you among that got lots of Passwords and always finds them difficult to remember, well you just don’t need them to remember now because PassWallet-Password Manager Android App has just solved this problem of yours.PassWallet is an Android Application which is actually a password manager which remembers your Password and stores them with safety and security. 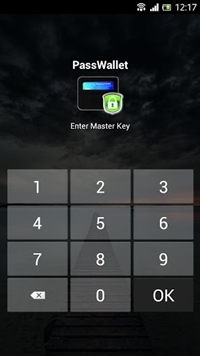 When you create passwords that are hard to crack it always be difficult for you to remember it because they are random and random things are hard to remember but PassWallet has no difficulty of remembering your tough random passwords, App includes a 256 bit encryption which makes it secure from online hunters. PassWallet includes a secrete feature which makes this App away appearing with other Apps on your Android device because of your security. Most popular templates including web logins, credit cards and ID documents. Sync between multiple devices via Dropbox or Google Drive. 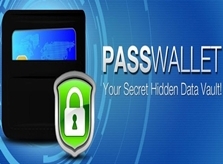 Backup and restore data to encrypted datafiles that can only be opened via PassWallet with correct PIN.